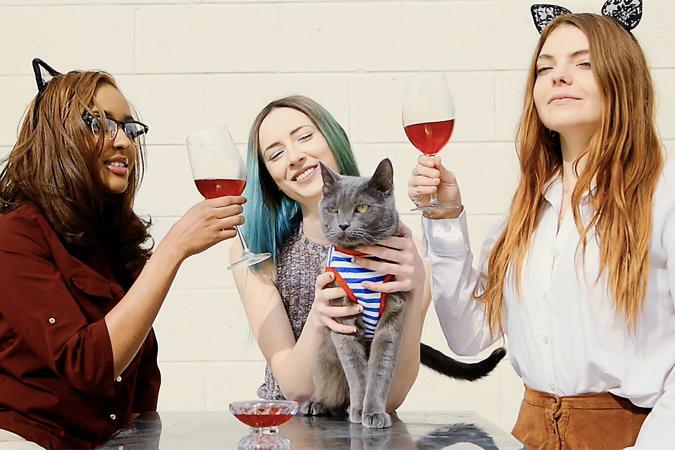 Apollo Peak makes a line of beverages that are for your pets which includes alcohol-free wines for cats. Look for their cat offerings if you want to create a unique dining experience for your furry friends. Apollo Peak was established in 2015, but gained notoriety after a television appearance on Shark Tank in 2017. Their motto is to, "make pet wine to help create a fun and social atmosphere for humans and their furry companions." 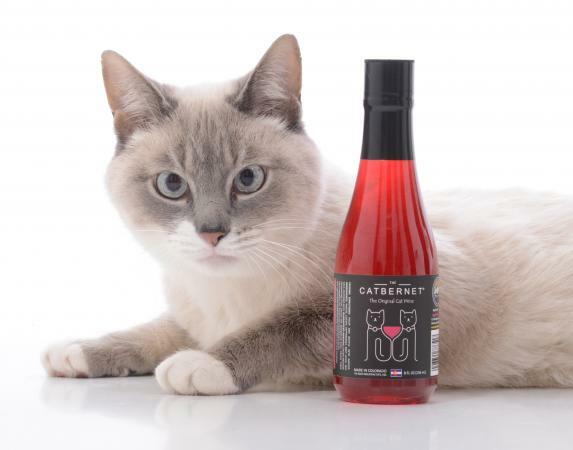 All the cat wine products are made with a proprietary blend of all-natural and organically-grown catnip, fresh beets, and natural preservatives that bring out the color and taste. There is no alcohol in these products, and they are said to be non-toxic for cats. It's estimated that the majority of cats will like this, but it may depend on your cat's preference for catnip. The smell of the beets is also said to enhance their intrigue and interest in trying it. The line of Apollo Peak cat wines is available in some pet stores, or you can order online at Amazon or Apollo Peak's website. It's recommended serving the wine to cats at room temperature, as they tend not to like cold beverages. Bottles may last for up to a year if stored in a cool, dark place. Once opened, you may refrigerate for up to 30 days, but, obviously, if it doesn't look like something you would drink, don't give it to your cat. Natural sea salt and ascorbic acid (vitamin C) are used as preservatives, but they can turn brown faster when left in sunlight. It's normal to see some sediment in the bottom of the bottles for some blends - either shake it or leave in the bottom. Bottles come in 8 ounces, or "meownces," when you purchase directly from Apollo Peak, which is technically one serving size. If you've never given these to your cat, it's probably best to give them a small taste to start and see if they like it. If you want to order smaller sizes, Amazon has some of these in 1.6 oz sizes. Aside from Apollo Peak's pitch to Shark Tank, they've been featured in a number of big media outlets. These include everything from Mashable to National Geographic. While the ASPCA lists beets as non-toxic to cats, you should really check with your vet prior to giving them feline wine, especially if your cat has any pre-existing health conditions. And, as noted in the Huffington Post, beets can change the color of urine, so cats that are diabetic or have urinary problems could have false positives on urine tests. Pet MD goes on to express some veterinarians' concerns with giving your cat this all-natural product. As one vet noted, beets have natural sugars which could be detrimental to your cat, especially one with diabetes. Just because something is organic or natural doesn't mean it's healthy. It may not be dangerous, but that doesn't mean it's beneficial to them either. And, since this is not FDA or AAFCO approved, Apollo Peak is under no scrutiny or quality control testing. Reviews on Amazon have not been overwhelmingly favorable. This stems from cats not drinking it or only drinking a small amount. In Apollo Peak's defense, they even note that not all cats will like or react to catnip. If your feline is one that doesn't care about catnip, it's likely going to wind up dumped down the drain. Should You Purchase Cat Wine? If you're a wine drinker and want to enjoy a novelty experience with your cat, maybe purchase a small bottle from Amazon. However, prior to purchasing any of these products, you should really have a frank discussion with your vet, especially if your cat has any health issues. Always remember that grapes and alcohol are believed to be toxic to animals, so don't give your pet any drinks that haven't been marked especially for your cat.